Let the Summer Movie Season Begin! While you were preoccupied with not throwing things at your television during the season premiere of Fear the Walking Dead, the first salvos in the summer blockbuster promotion wars got under way at the MTV Movie Awards (hashtag: Still a Thing!). 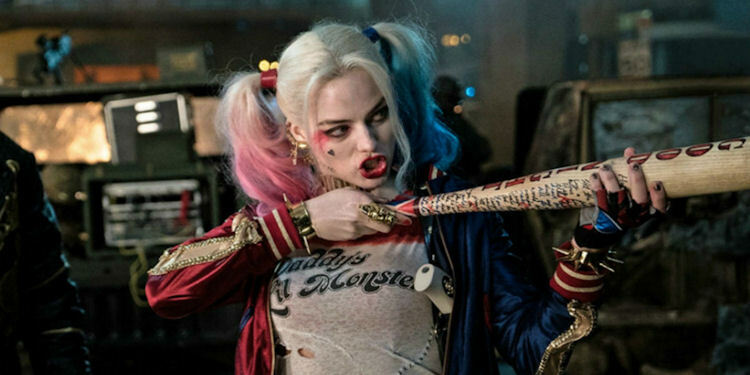 August’s Suicide Squad generated the most buzz overnight. The new trailer features more Joker and less Queen. It looks like there were plenty of jokes left over from the first teaser, which may calm some fears about the movie’s recent round of re-shoots. Margot Robbie still looks like the prime candidate to steal the show and gods help me, Will Smith in full Deadshot mask still looks like Wilson the Volleyball sprouted a body and a bad attitude. If J.K. Rowling is more your jam, the second Fantastic Beasts trailer was unveiled ahead of its November release date. Not to be outdone, Captain America: Civil War let a new clip loose on the awards show. This is a big week for Marvel’s promotional machine as Jimmy Kimmel Live is all about the corporate synergy with Team Cap (Chris Evans, Sabastian Stan, Anthony Mackie, Paul Rudd) on Monday night, Dr. Strange‘s Benedict Cumberbatch (and the first Dr. Strange trailer) with Agents of SHIELD‘s Clark Gregg on Tuesday night, Team Iron Man (Robert Downey Jr., Don Cheadle, Emily Van Camp, Chadwick Boseman, Paul Bettany) on Wednesday night with Chris Hemsworth rounding out the week on Thursday.